Kevin Kosbab -take a journey through three comprehensive sections that each explore a basic applique approach- Raw-edge Applique- Prepared edge Applique- Needle-turn Applique. 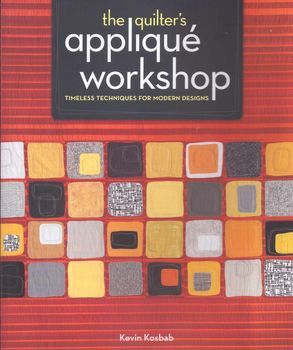 This book is a 10 star in my opinion- has sooooo much information and the quilts and projects are, on the whole, fantastic. I am going to add to my bookshelf!